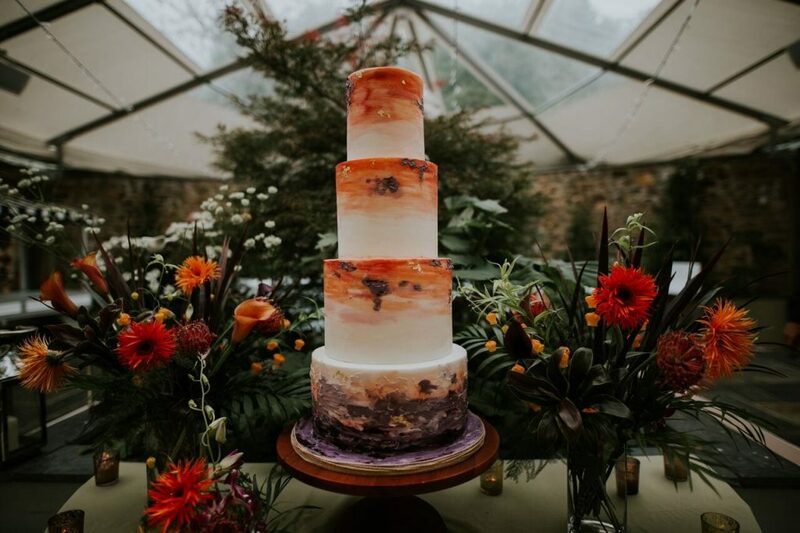 What are your thoughts on wedding cakes? Some people are all about the sweet delights. Others, not so much. There are so many options out there, and you can only pick one. 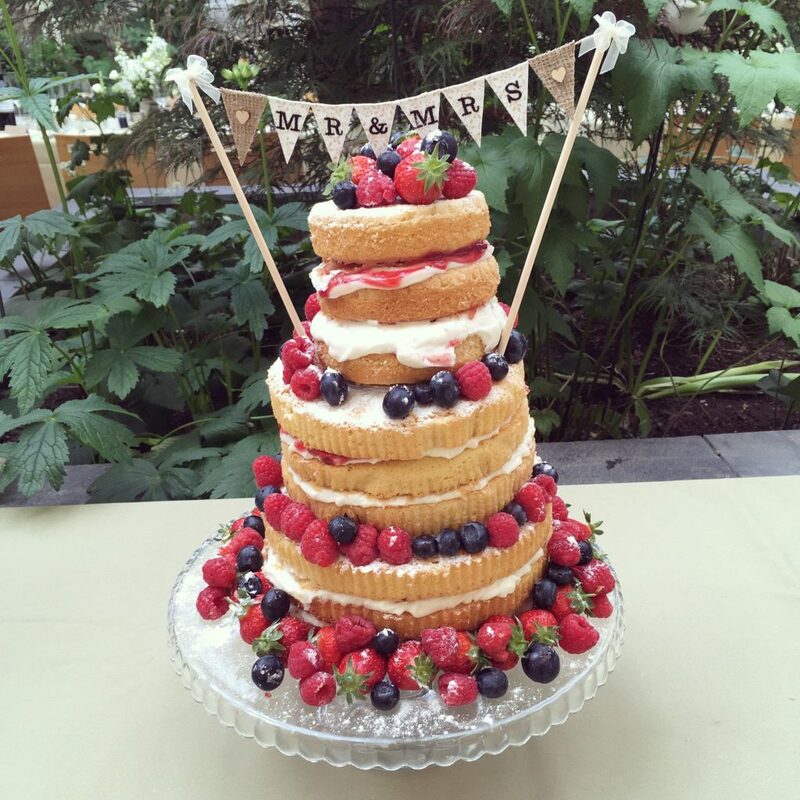 What is your wedding ‘theme’ and how might your cake reflect this? Also take into account your wedding colours. Plus, fruit or flowers for decoration? With all of that in mind, I’ve put together some inspiration from some of last year’s weddings. 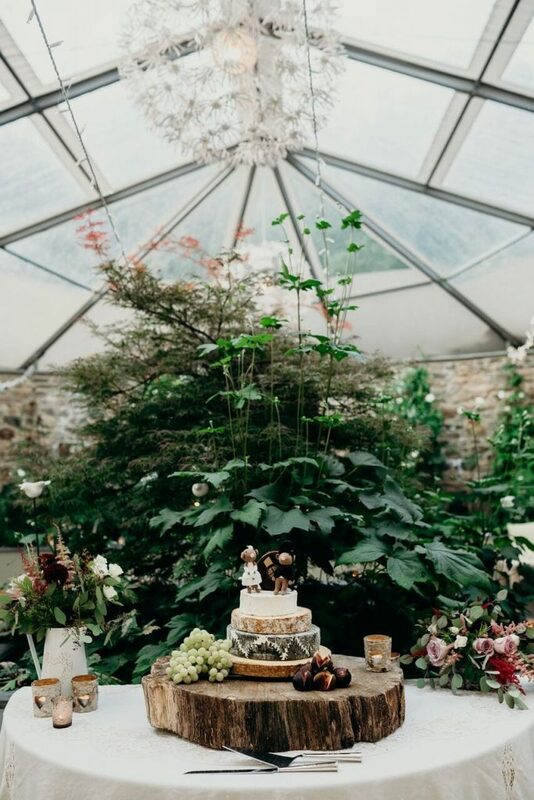 Seeing the cakes as they’ll look at Ever After might help with your decision making. Besides, who doesn’t love looking at them?! A super popular choice in recent weddings. 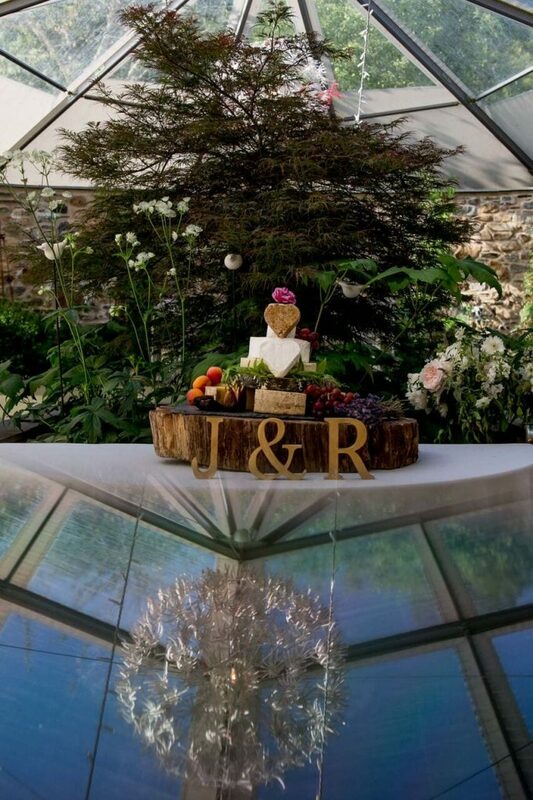 Moving away from ‘traditional’, and a great choice if you’re going for a relaxed/rustic wedding theme. 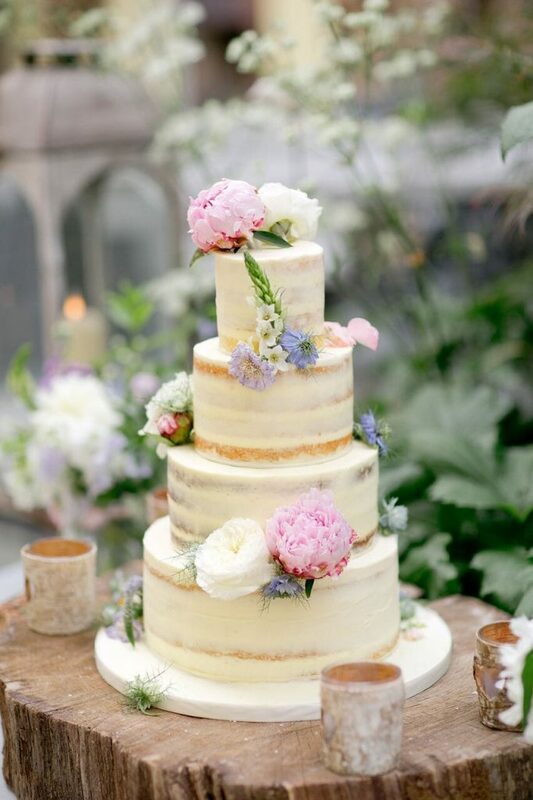 Most people opt for the semi-naked cake which gives that ‘half-and-half’ look, and is really effective. Another uber popular choice is scrapping the sweet and going for savoury. The cheese is then often served as/with evening food and guests tend to be more likely to indulge in cheese than cake. Meaning less wastage! Perhaps you’re going for a more elegant and traditional look? 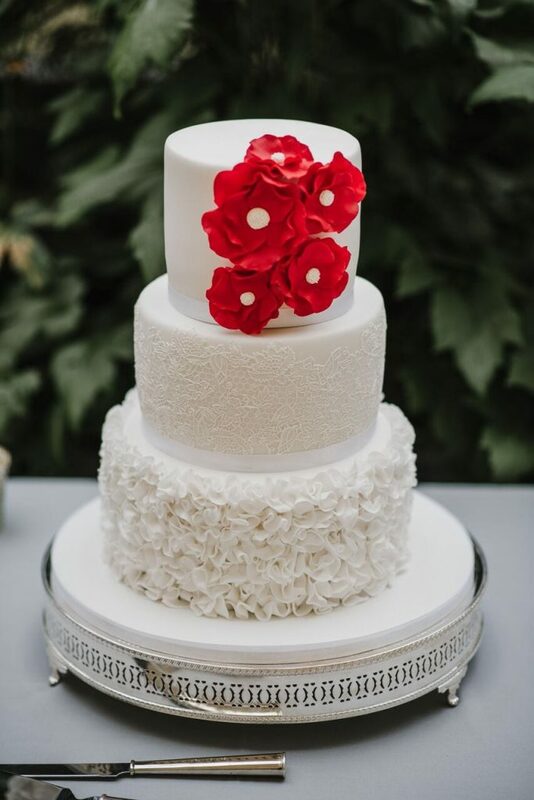 A simplistic white 3-or-4-tier with amazing flowers? That works too! 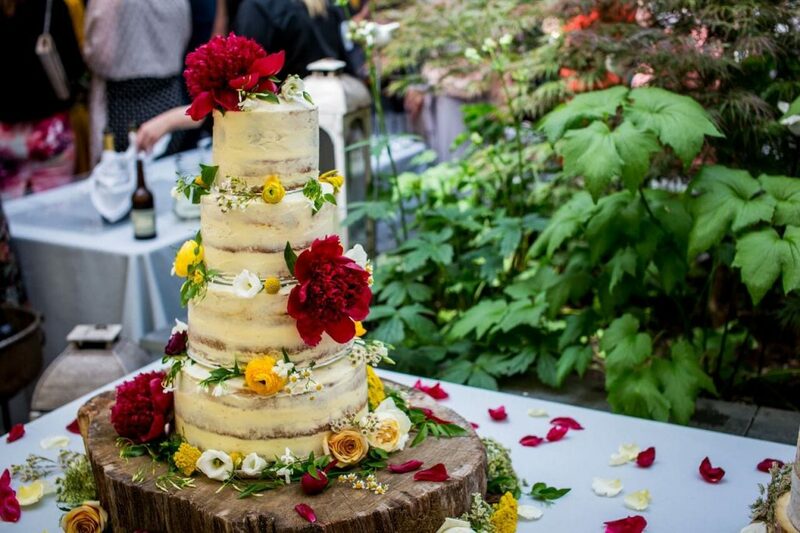 So you’ve seen the naked cake, you’ve eaten the cheesecake, and white just isn’t your thing. How about a wild pop of colour like Zoe & Ben went for? There are so many options to choose from. We can make supplier recommendations, and for more inspiration check out our wedding gallery.